We’re not massive Bowie fans in the Review Corner — we’re not massive fans of anyone in the “we love everything they ever do and they’re the biggest genius ever” way, agreeing with Scroobius Pip that they’re all just bands — so this CD went partly over our collective heads. 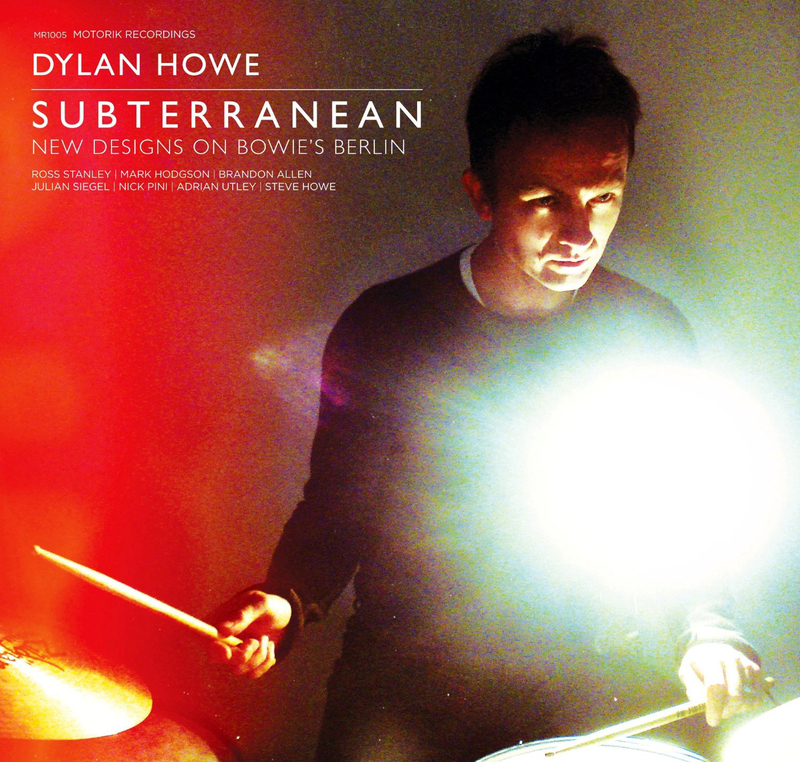 We tell you this because Subterranean is subtitled “new designs on Bowie’s Berlin” and Mr Howe has taken the instrumental pieces from Low, including associated sessions, and a couple of songs from Heroes, and turned them into jazz. Yeah, whatevs. Don’t get us wrong: it’s a really nice album, we just don’t care about Mr Bowie so much. Bowie fans will probably get a bit bored and jazz fans merely judge it on what it is, which is pretty good. Howe himself is interesting: son of guitarist Steve, he’s played with The Blockheads and drums on the Wilko Johnson / Roger Daltrey chart-topper Going Back Home. Admittedly, once you know the Bowie thing, it makes a bit of sense: it’s got that slight sense of alienation that Bowie was trying to express. But it’s basically a chilled and slightly arty jazz album in the style of John Coltrane. We came to this after listening to Jerome Lowenthal’s piano CD (reviewed last week) and this blended in nicely with the sparse piano sound. Opener Subterraneans is relaxed to the point of unsettling, the latter courtesy of some sax, while All Saints opens with a slow double bass before going all Coltrane. Standouts: giving its laidbackness, it’s much of a muchness so it’s hard to say, though Warszawa is interesting, thanks to some creepy Portishead-style guitar from Adrian Utley. Overall it’s nice background jazz with plenty of interesting bits to engage the brain.